At First Baptist, we seek to provide opportunities for spiritual growth and discipleship for all ages; as well as opportunities to discover, develop, and share spiritual gifts for service in our church, community, and world. There are also many opportunities for fellowship through special events, meals, and outings for all ages. Sharing our Gifts Ladies' Event: An afternoon of fellowship and celebration as we explored our God-given gifts. First Baptist Church serves as a collection center for Operation Christmas Child. 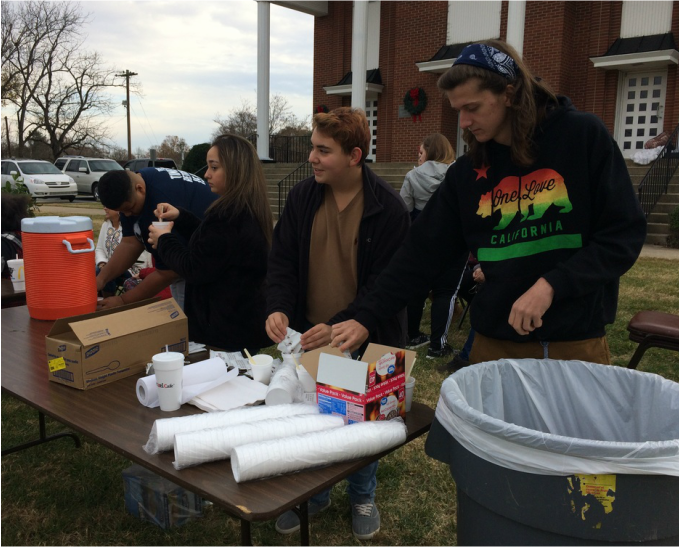 FBC Youth distribute hot chocolate during the Taylorsville Christmas parade.